This custom Forged fixed blade by Sean McWilliams is called the Ranger-4! 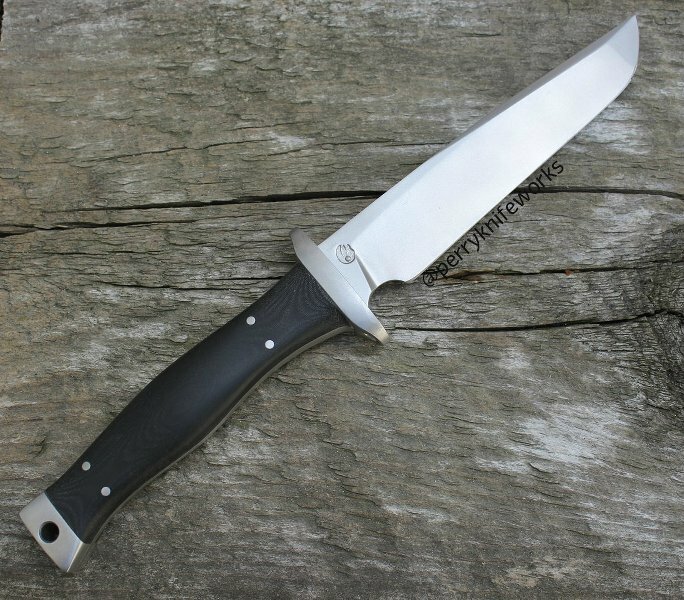 It has a forged 4.625" bead blast finish S35VN blade with a tapered tang and a 416 stainless finger guard.The handles on the Ranger-4 are made of beautifully contoured black linen Micarta that feels very comfortable in hand. Item includes a black nylon sheath with Kydex liner. I like the sense of humor.